I have taken part in the The National Brain Appeal’s art event A Letter in Mind at the Oxo tower gallery along with Grayson Perry, Billy Childish, Elisa Sighicelli, Natasha Kidd, Avis Underwood, and many more artists and designers. All envelope artworks will all be priced at £80 and sold anonymously at the exhibition, at the gallery@oxo, Oxo Tower Wharf, in aid of The National Brain Appeal. 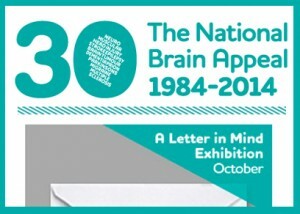 A Letter in Mind Exhbition: gallery@oxo, Oxo Tower Wharf, Bargehouse Street, South Bank, London, SE1 9PH. Open Daily 11-6pm. Admission Free.